We’re really excited to tell you that we’re about to become part of a bigger family as we’ll be joining Jaywing. Jaywing is a major data science led agency that is headquartered in the UK and is listed on the London Stock Exchange. Jaywing already has a growing presence in Australia, with significant expertise in SEO, paid online media, CRO and data science – we hope you agree, a great fit with what we do here at Frank. Jaywing has made some impressive advances in marketing technology and artificial intelligence recently, giving clients a serious competitive edge – something our clients will also be able to take advantage of. The completion of the deal is expected in the next couple of weeks and we will also be moving to the Jaywing office in North Sydney. 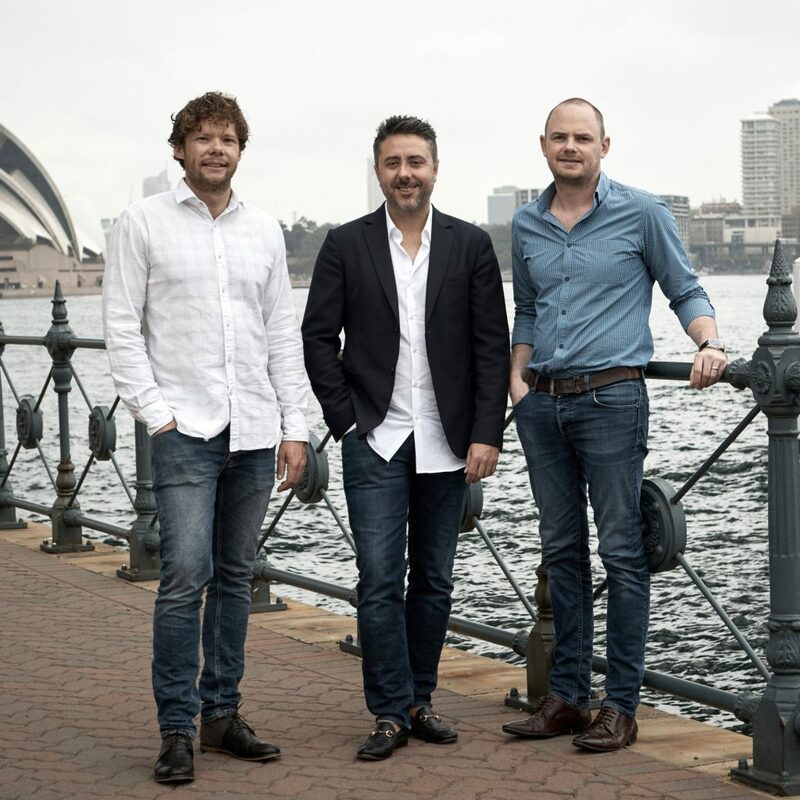 Today, data science led marketing agency Jaywing has announced its intention to expand its Australian operations with an agreement to acquire Australian digital agency Frank Digital. Jaywing has been growing its presence in Australia steadily in recent years and in July 17, Jaywing plc reported it was seeing growth in Australia outstrip that of its main market in the UK. The move will bolster its scale and widen both its services and client-base. Frank Digital’s clients include, AMP Capital, Merivale, Bauer Media, City of Sydney, Western Sydney University and CanTeen. The conclusion of the deal will see Frank Digital co-located with the existing Jaywing business in North Sydney. Accompanying image: Pictured left to right: Tom Geekie, MD, Jaywing; Matt Barbelli, Founder, Frank Digital; Chris Pittham, MD, Jaywing. Jaywing plc is a UK-based AIM-listed agency and consulting business with a marketing technology division, Jaywing Intelligence. Jaywing launched in Australia in March 2017, following its acquisition of Digital Massive in July 2016, and has reported strong growth in Australia. Jaywing is home to over 650 of the best thinkers across creative, technology and data science, with over 1 in 10 of its people a highly experienced data scientist. Jaywing Intelligence uses Artificial Intelligence and Virtual Reality to analyse, model and deliver decisions on huge volumes of real time data across a range of marketing applications. Jaywing has a highly collaborative model and impressive academic links, such is its relationship with Imperial College London’s Data Science Institute, where research into emotional responses into marketing stimuli involves the use of advanced technology, including the DSI’s impressive Data Observatory facility and advanced neuroimaging kit. Jaywing works domestically and internationally with a number of blue chip clients, including Pepsico, Castrol, Wedgwood and HSBC. Frank Digital creates beautiful websites that accelerate digital transformation for Australia’s leading companies, organisations and brands. Named by Awwwards as one of Australasia’s most innovative digital agencies, Frank Digital harnesses the power of strategy, creativity and technology so our clients can continue to evolve.